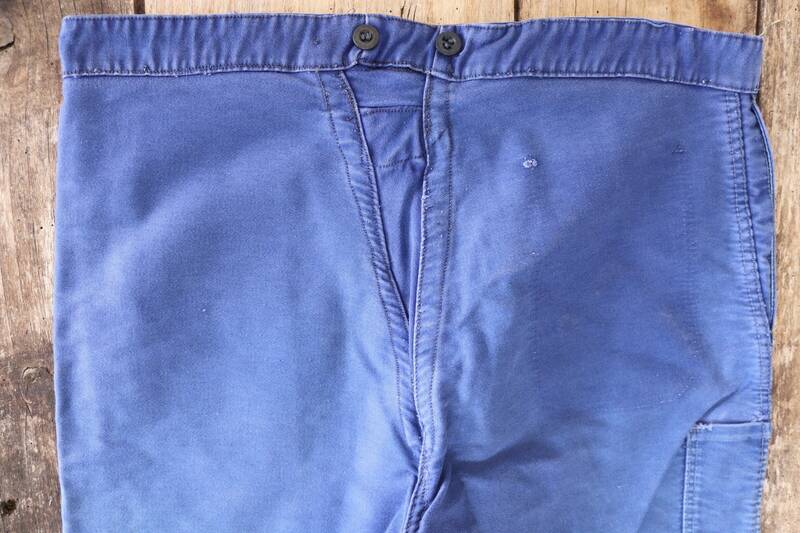 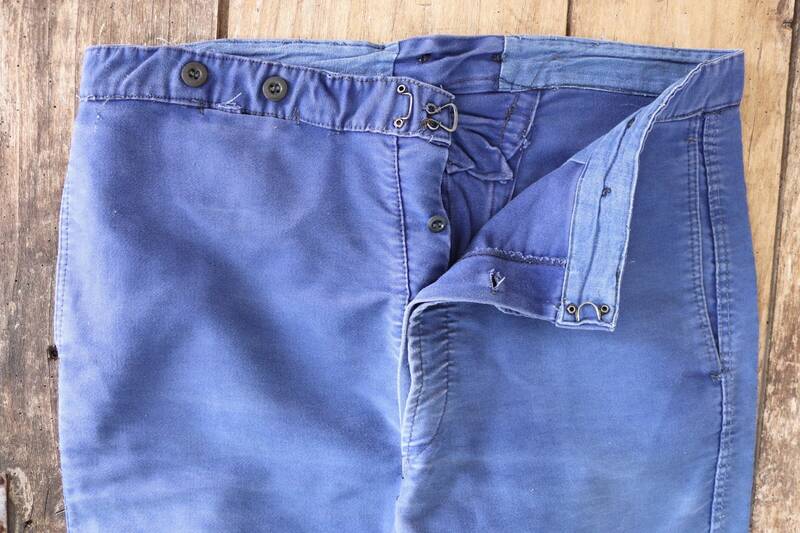 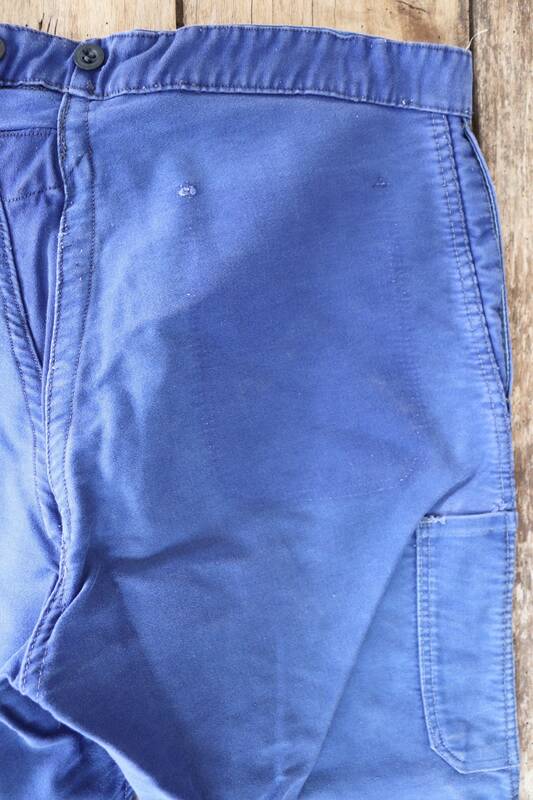 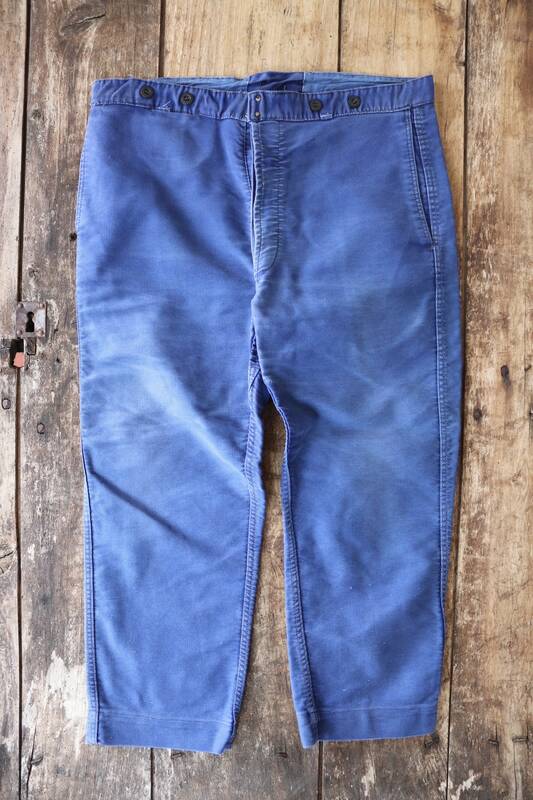 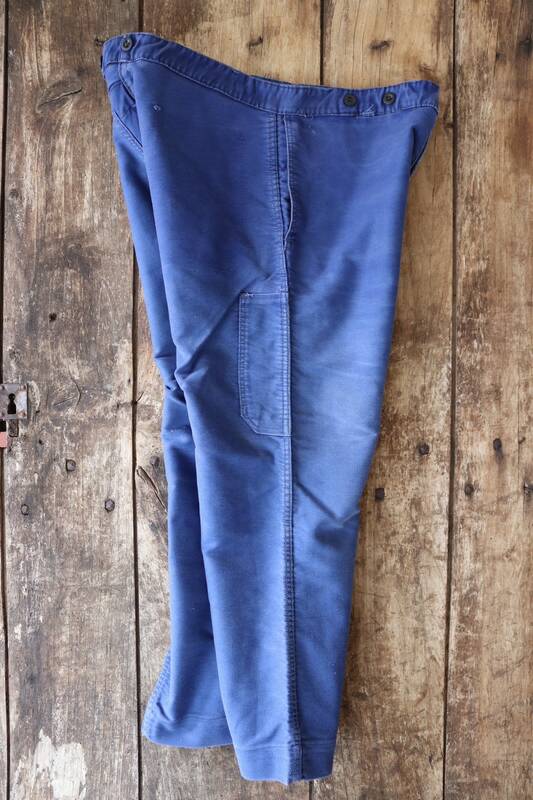 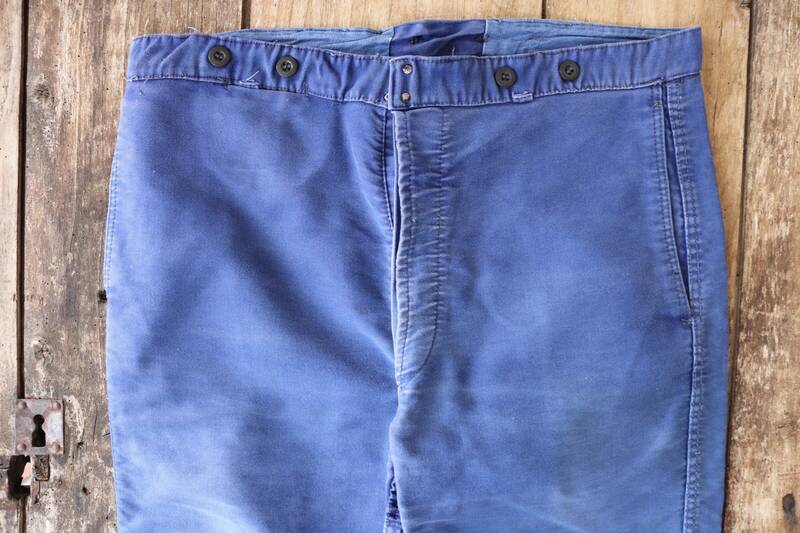 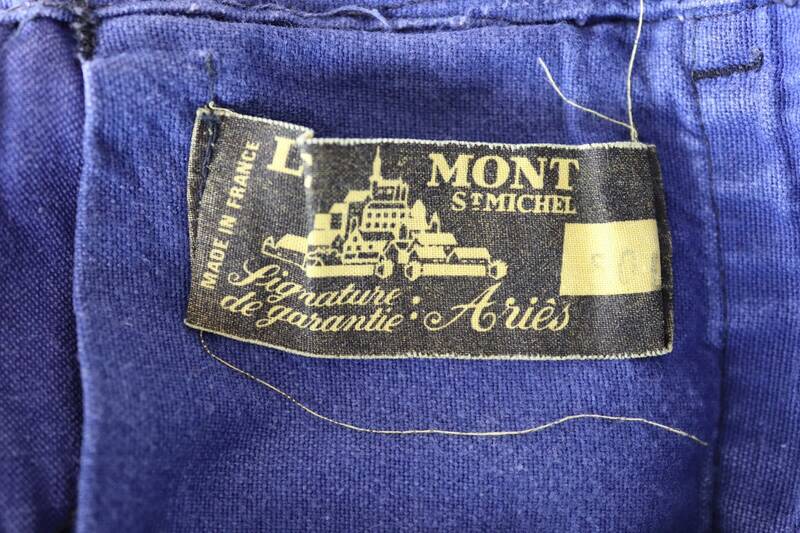 A deep blue pair of moleskin chore trousers dating from the 1950s. 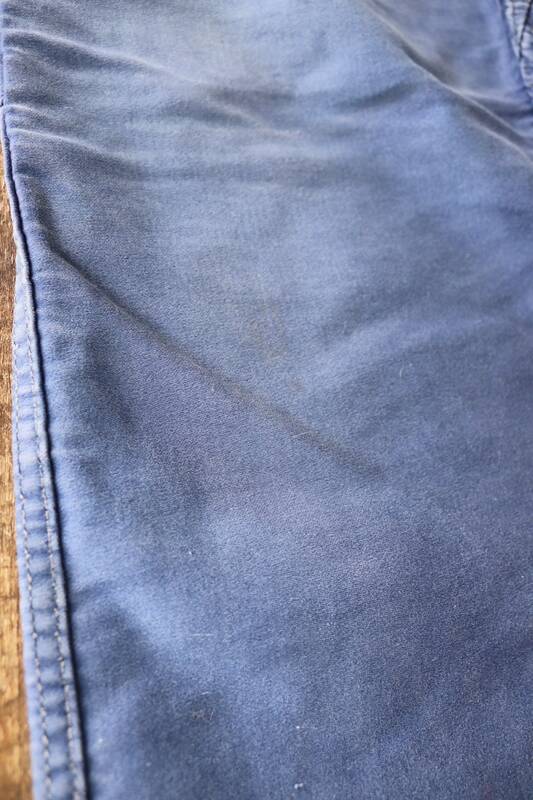 Noted flaws - some colour fading throughout, an added section at the back, missing the back pocket - please see photos. 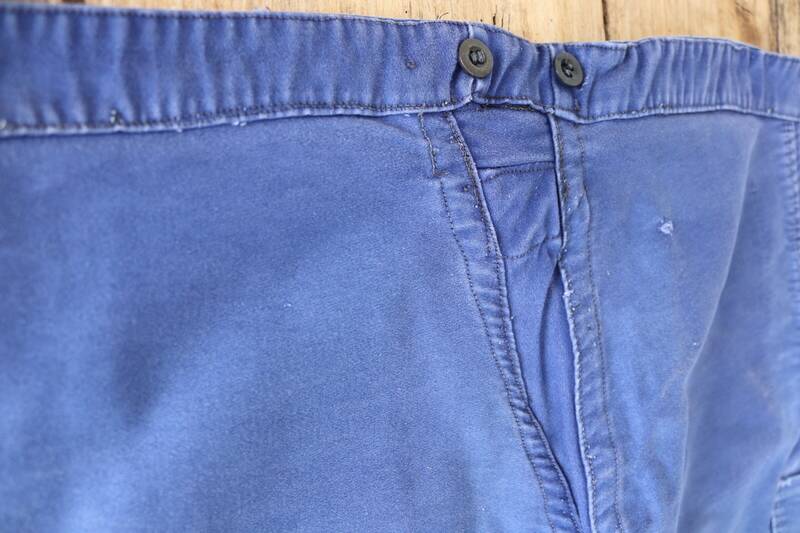 Button fly, soft, thick moleskin fabric, suspender buttons, classic French workwear. 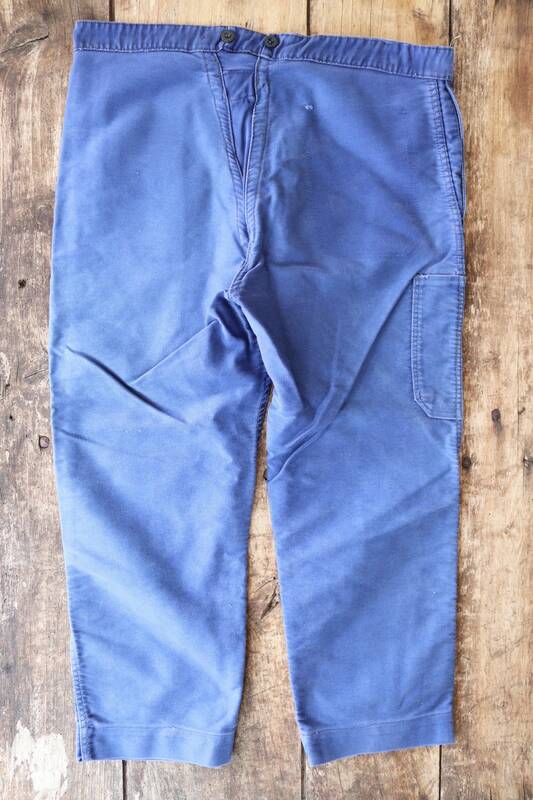 Leg opening at hem - 8"